Size: one size fits most. 12-38 lbs. Snap the snaps on the rise of the diaper to make it shorter or longer. Brand new Roly Poly All in one!!! Washing is now even easier than before! 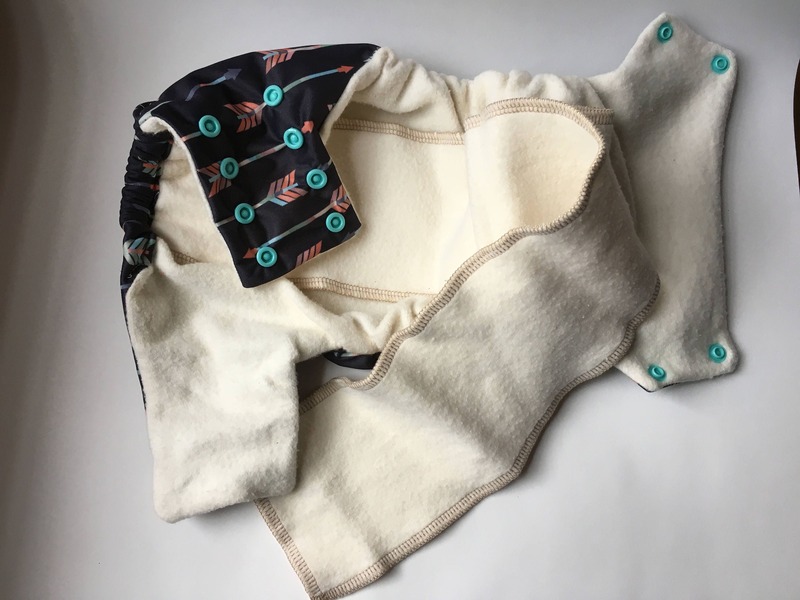 The best part of this diaper is; there is only super soft USA organically grown and spun cotton fleece touching your baby's skin! This is a lightweight, trim, and great-fitting diaper. The waterproof outer layer keeps messes in. It is made of strong and durable (made in the USA!) PUL fabric. PUL Fabric is a type of laminated fabric. PUL stands for Polyurethane Laminate. It can be pronounced either P-U-L or "pull". 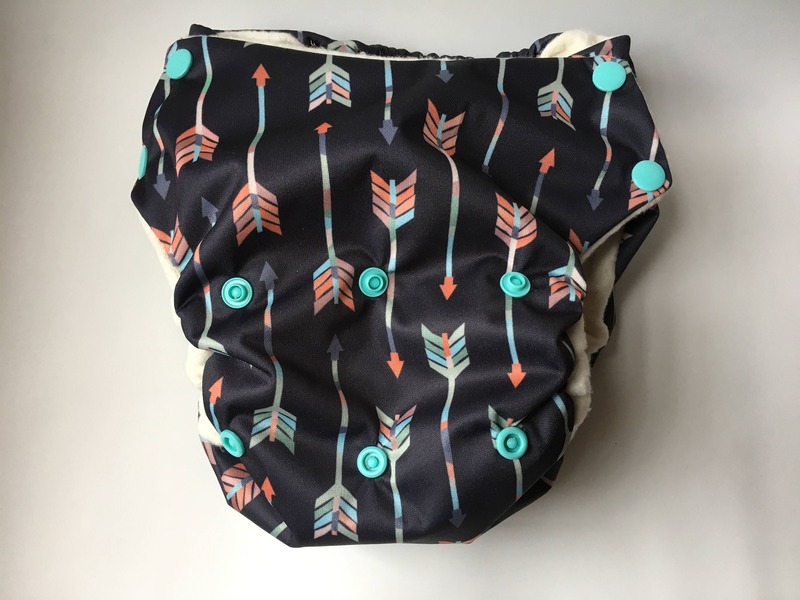 PUL Fabric is waterproof, so it is ideal for the outside of cloth diapers and diaper covers. Our PUL fabric also is breathable, so baby stays cool and comfy. 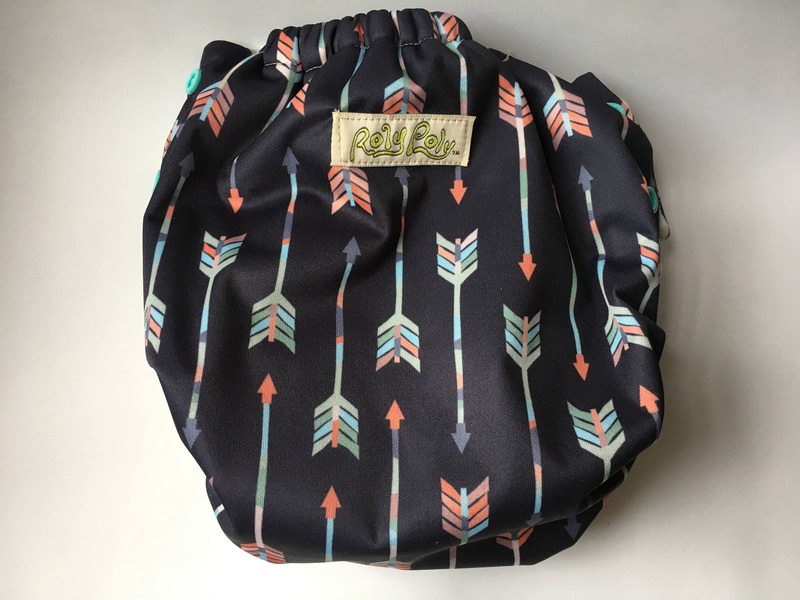 All of the PUL fabric at Roly Poly Crafts llc is the Eco-PUL™ brand - a high-quality, made in USA PUL fabric. 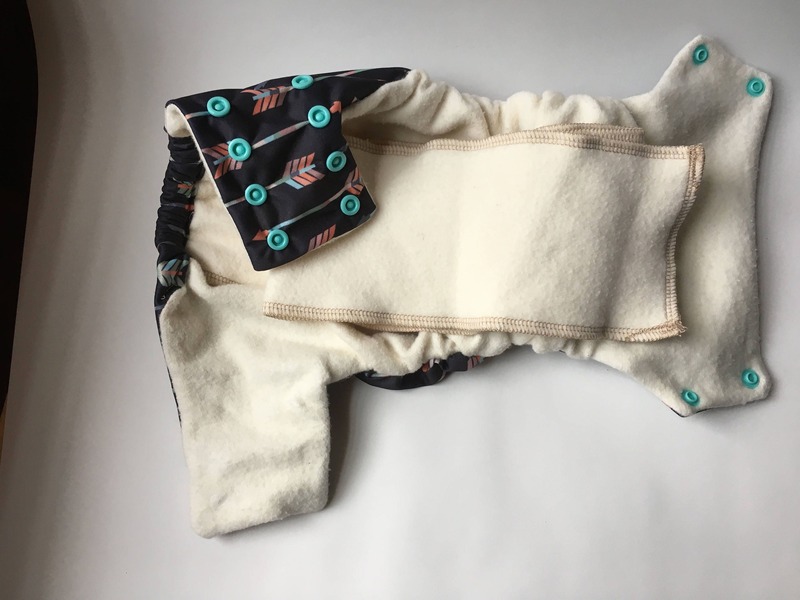 Read on to learn why PUL fabric by Eco-PUL™ is a smart choice for the environment and your baby.